See more Loewe Scarves and handkerchiefs. We check over 450 stores daily and we last saw this product for $190 at Selfridges. Loewe centres its design values around artisan craftsmanship and luxury materials, infused with contemporary details and unique silhouettes under the creative helm of Jonathon Anderson. 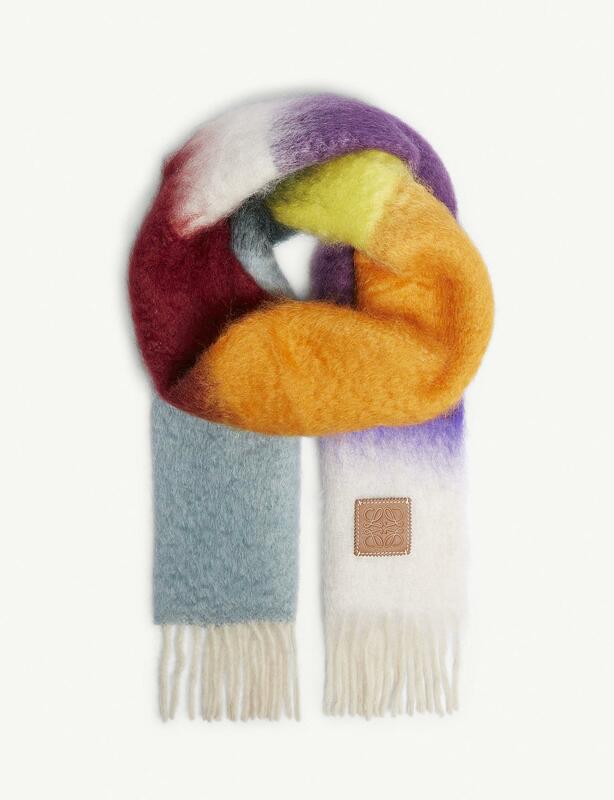 Made in Spain from a sumptuous mohair blend, this scarf is fitted with tasselled ends and adorned in a block stripe pattern in vibrant rainbow hues. Loewe scarfMulti coloured design, tasselled ends50% mohair, 50% woolDry cleanMade in Spain.